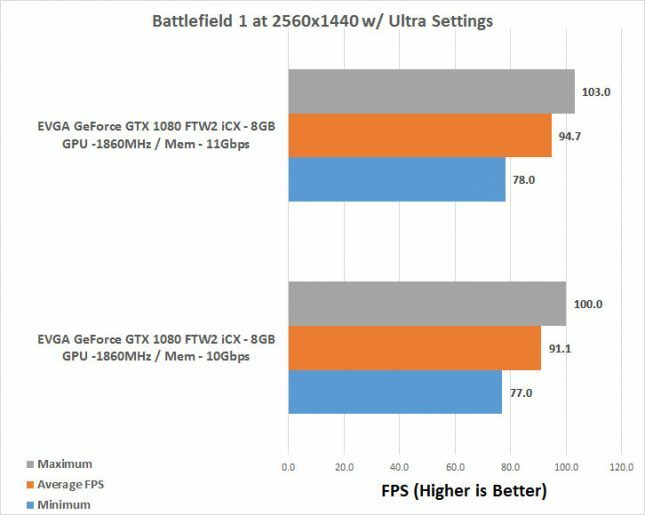 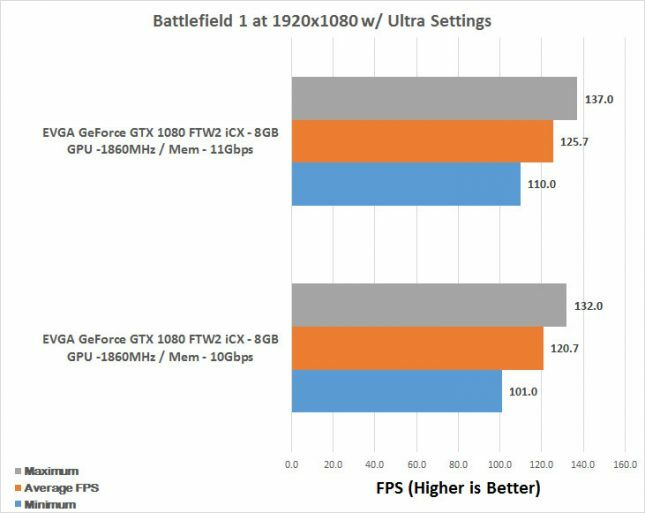 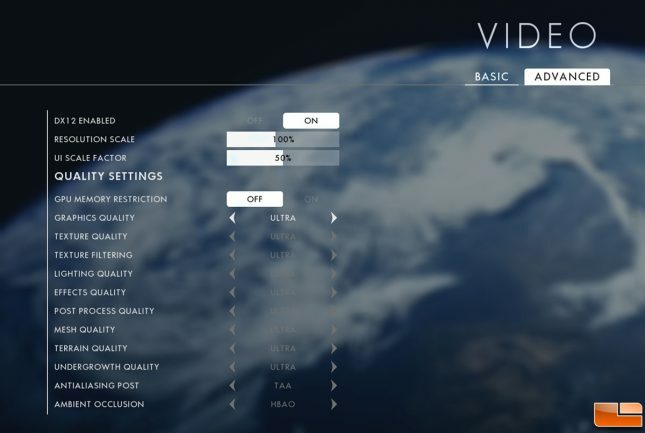 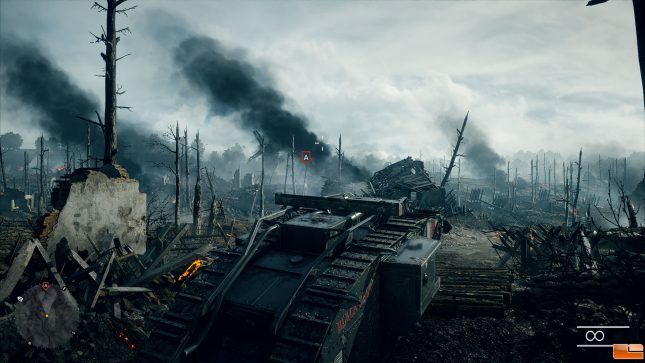 Benchmark Results: In Battlefield 1 we saw the average FPS on 1080P go from 120.7 to 125.7, which is an increase of 4% thanks to the 10% increase in memory clock speed on the EVGA GeForce GTX 1080 FTW2 video card. 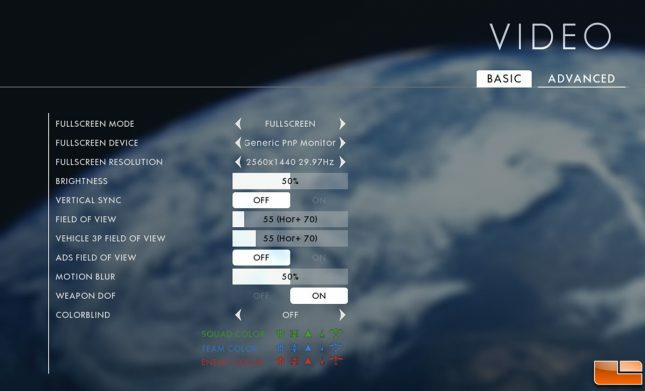 With the screen resolution increased to 2560×1440 we saw another 4% increase as the average FPS went from 91.1 to 94.7. Not a huge increase, but a 4% increase from a quick BIOS flash on the graphics card is a simple and free solution.